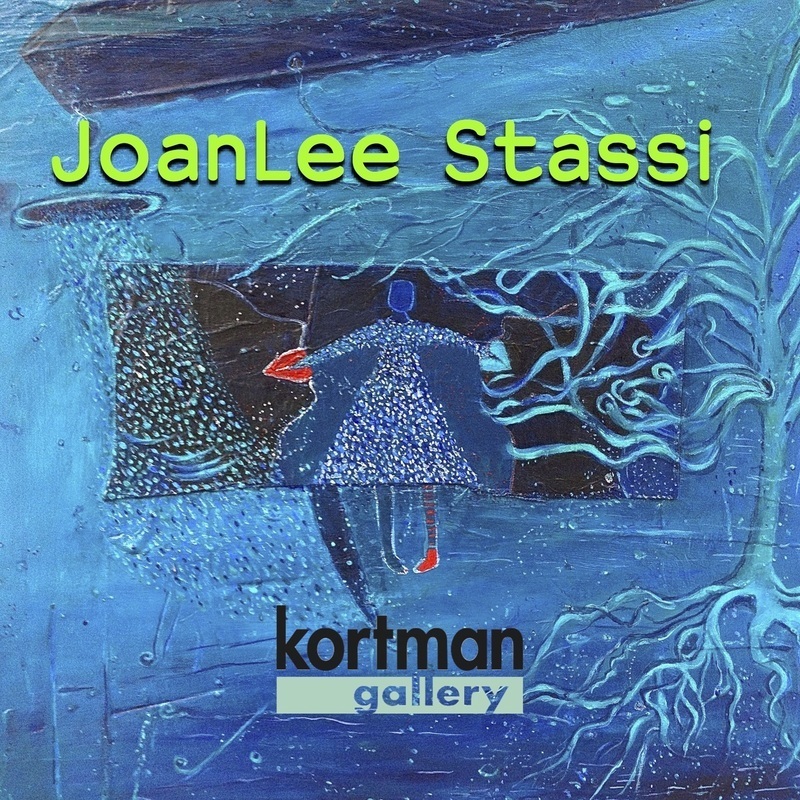 If you haven't seen the beautiful paintings by Rockford artists JoanLee Stassi, her exhibition, "Reflections: Backward/Forward...Paintings/Prints" has been extended through April 12th. Scroll down and read more about Ms. Stassi and her intriguing works. Kortman Gallery is hosting a "closing party" for JoanLee's show on First Friday, April 7th from 6-10pm, (maybe even later) featuring Dennis Horton tending the Kortman Gallery Bar! And don't forget our new Store & Gallery hours are Monday to Friday 11am – 6pm and Saturday 11am – 5pm!